Like many Mexican families, our family loves to cook, and what we try to do in all our La Bamba restaurants is bring you a genuine Mexican eating experience—with large portions, lots of flavor, and all the food prepared in front of you to your specifications. All of our La Bamba restaurants are fun, neighborhood places where you can eat great Mexican food with your family and friends. We offer fresh, flavorful, authentic, high-quality food in a warm and casual atmosphere. And, we’re open late, if you get hungry after your late night adventures! 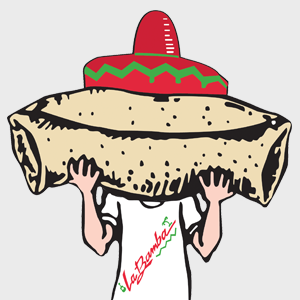 We invite you to come and visit La Bamba for yourself and see why our loyal customers keep coming back for more. ¡Buen provecho! Brothers Ramiro and Antonio Aguas became frustrated with the lack of quality Mexican food in the Chicago and Champaign areas, so in 1987, they opened their first store. Word spread and La Bamba became a hit. More stores began opening throughout Illinois, Indiana, Kentucky, and Wisconsin, and now, we have 8 stores with family members involved at each location.